Switch owners aren’t short on new potential purchases, with several big hitters either out now or due before the end of the week. The 3DS gets a look-in too with YO-KAI WATCH BLASTERS, the first spin-off in the series which adds an action-oriented twist. On Switch SNK HEROINES Tag Team Frenzy, Hyper Light Drifter – Special Edition, Planet Alpha, and God Wars are all generating a buzz, while gaining moderately high review scores. And if your feeling flush, NBA 2K19 20th Anniversary Edition also can be yours this week for an eye-watering £84.99. The standard edition is out next week for a more affordable £54.99. Well, slightly more affordable. 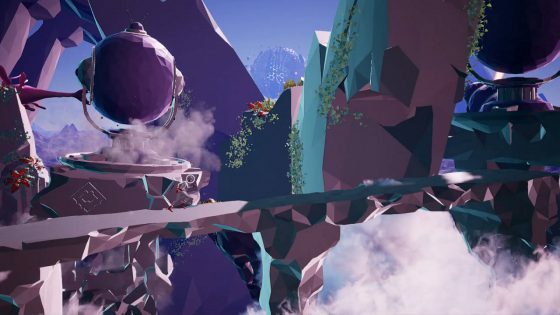 Team 17’s Planet Alpha offers 2D platforming puzzle action, meanwhile. As mentioned in our other weekly round-up (it’s also out on PS4 and Xbox One this week), scores are mostly 7s and 8s. “There’s great pleasure in just existing on this planet, in navigating its harsh terrain and admiring its vistas, and the sheer beauty of it all makes the game’s shortcomings easy to bear,” was GameSpot’s verdict. Finally, God Wars is a belated conversion of a PS4/PS Vita strategic JRPG from 2017. The lack of touchscreen controls is somewhat problematic, but if you can’t wait for Fire Emblem: Three Houses then this is a decent alternative. There’s also the pixel art shooter Broforce to consider, along with Lifeless Planet: Premiere Edition and the indie classic Gone Home. Turns out we’ve never reviewed Gone Home – it’s a pleasant way to spend an hour or so, piecing a story together as you return to an empty home after spending a year abroad. We’re particularly fond of all the ‘90s references it contains. 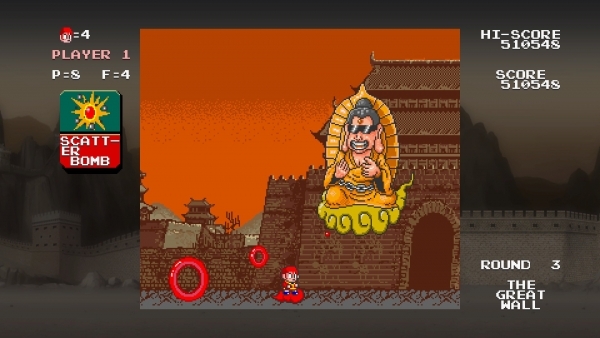 Here’s a full round-up of all new Switch releases, including Monkey King: Master of the Clouds – which was released on the SEGA Master System as Cloud Master – and Slice, Dice & Rice from Arc System Works, which gained mostly decent reviews on PS4. Get to the end of each level in the shortest amount of time possible and try to collect all the gizmos along the way. 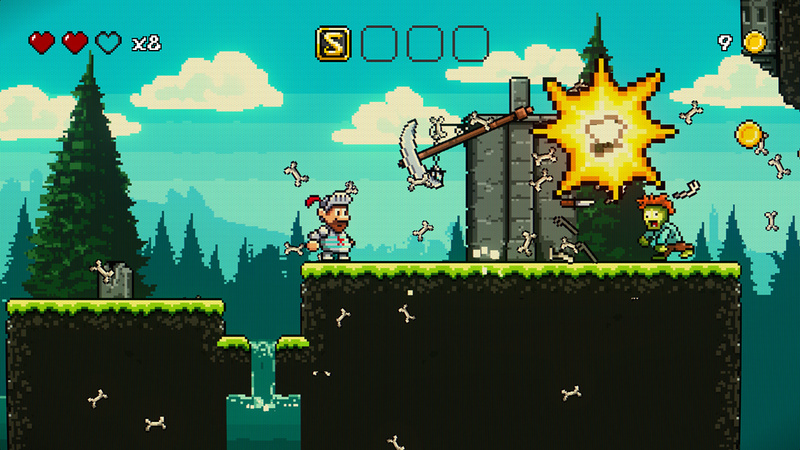 Beware the hungry Roaches, pesky Flies, shooting cannons and other deadly obstacles. Get the power-ups that let you use your turbo dash that’ll come in handy in tough situations. When evil threatens the world, the world calls on Broforce – an under-funded, over-powered paramilitary organization dealing exclusively in excessive force. Join with up to four players to run ‘n’ gun as dozens of different bros and eliminate the opposing terrorist forces that threaten our way of life. Unleash scores of unique weapons and set off incredible chain reactions of fire and napalm in the name of freedom. Take down hordes of goofy enemies and crazy bosses. Earn riches, find long lost holy artefacts and make your way up to the top of Mount Stinkup! Explore a beautiful, vast and ruined world riddled with dangers and lost technologies. Echoes of a dark and violent past resonate throughout a savage land, steeped in treasure and blood. Hyper Light Drifter is an action adventure RPG in the vein of the best 16¬bit classics, with modernized mechanics and designs on a much grander scale. In Slice, Dice & Rice, a single, clean hit will determine the victor. The winner of the duel is determined by one’s mastery of Parry and Shingan. Ninjin: Clash of Carrots is an anime-inspired beat-‘em-up with a gaggle of varied enemies, deep customization…and ninjas! Play through side-scrolling worlds consisting of multiple stages and collect carrots stolen by the evil Shogun Moe! Carrots act as currency which can be redeemed in the Corgi Store for new equipment, or the Shady Shop for special weapons, masks and other customization items. Grab a friend to join you in 2-player online* or local co-op. GOD WARS The Complete Legend is a tactical RPG that explores the untold history of Japan through folklore and tactical combat. The most entertaining Pinball is back! Enjoy Mummy Pinball, a perfect reproduction of a real pinball machine, with all the graphic details and sounds. Discover all the secrets, complete all the missions and become number 1 in the world or the best among your Friends, posting your high score on the online leaderboard. Players can team up with up to three other friends either locally or online to fight towering Big Bosses, using skills and powerful Soultimate Moves. While previous YO-KAI WATCH games focused on turn-based battles, YO-KAI WATCH BLASTERS drops you into real-time skirmishes, in the first ever action RPG for the series. Next week: The Spectrum Retreat, Surgeon Simulator CPR, Nintendo Labo: Toycon 03 Vehicle Kit, NBA 2K19, The Warlock of Firetop Mountain: Goblin Scourge Edition, Defunct, Bastion, Time Carnage, Grandpa and the Zombies, Danger Mouse: The Danger Games, SENRAN KAGURA Reflexions, Nefarious, Wasteland 2: Director’s Cut, and Old School Musical.